There seems to be a lot going on here in this country. Two opposing sides at each other’s throats. Citizens teetering on the edge of a knife. On one side you have a group that has spent all their existence defending those that cannot defend themselves…even when it wasn’t for their own benefit. And on the other side you have a group that is fighting for the rights of their people that they believe have existed since the dawn of time. Both have good intentions, but neither trusts the other. For if they do, they risk losing their populace to the other or worse. On one side you have someone that will do whatever it takes to defend the group against all threats; foreign or domestic for the good of the whole. On the other, the leader believes you can’t simply put one group over another because you favor them. You must protect all. But soon, neither group will be able to stand in their place. One must relinquish the power that both desire. They will inevitably collide and only one will remain…for the next few years. Never has there been another time where the population was so divide (except during the Civil War, of course). OH!!! You thought I was talking about America?!?! No, no. I was talking about the Inhumans. Hahaha! Yes, yes…I know, those rascally and lovable nerdlings and the pure jovial fun of the X-Men. Yep! Those crazy kids! Sponsors: Now seems as good a time as any to mention our sponsors. We are sponsored by DCBService.com. 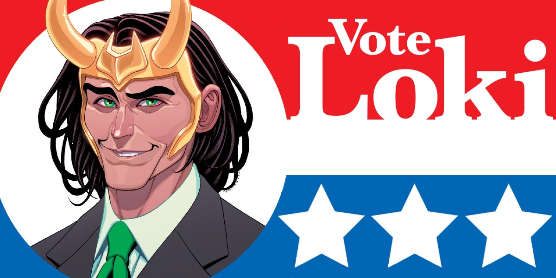 Get all your Marvel pre-orders for 40% off cover price. They even have specials and clearance issues for up to 70% off! And don’t forget their sister site, InStockTrades.com. All orders over $50 are free shipping. We are also sponsored by Community Retail Partnership. Sign up to get discounts on all your Office Depot supplies. It’s like a Sam’s Club card for Office Depot! Go to crpsavings.com and sign up today for a lifetime membership! Moreover, our third sponsor is michaelwebsolutions.com. Do you need web solutions? Call Darrin!!! 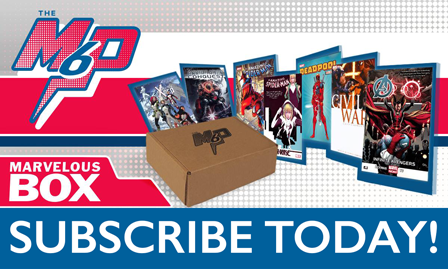 Lastly, sign up at themarvelousbox.com to get your $60 worth of Marvel tpbs for $25 bucks! And remember, until next time, make yours The M6P!